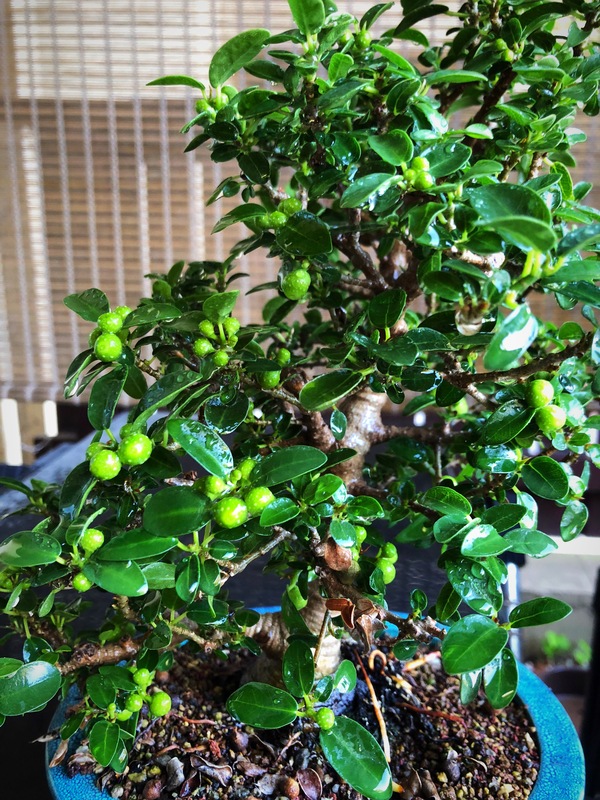 This week I visited with my creeping fig tree. Years past I have let the figs ripen and fall off but that weakens the tree going into Fall and Winter. It was time to harvest. I remove most of the figs; leaving only those for ornamentation purposes. 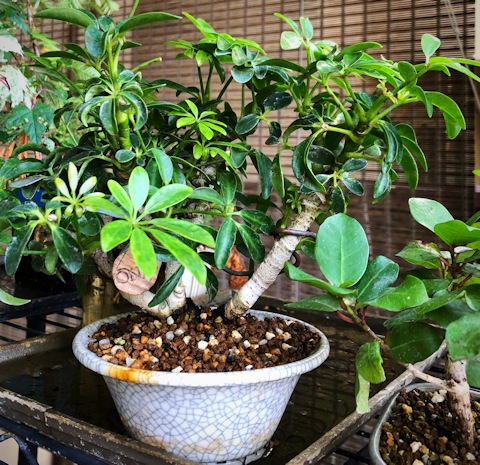 Moving around the garden, I also checked in on all the little wonders that have been re-potted this year. 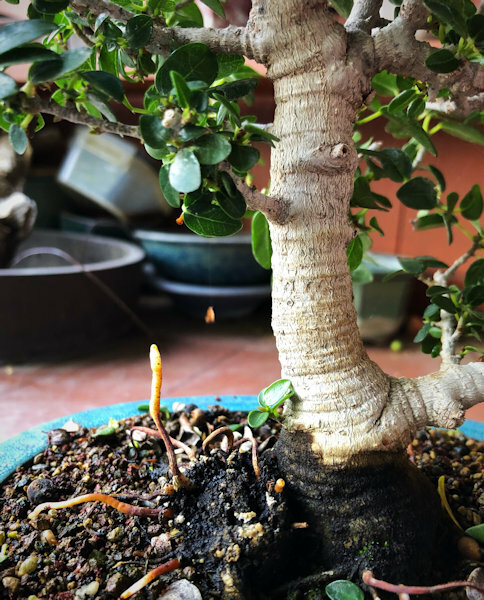 Creeping Ficus 2018 – extending root mass into the air. 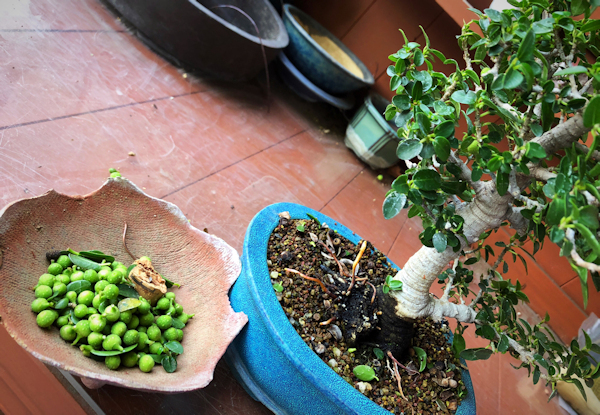 Creeping Fig 2018 – farming figs to preserve energy for the tree.